miniature sewing machine - Pearl. 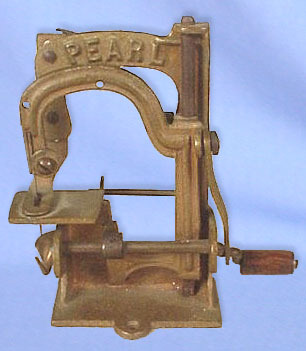 In essence, the Pearl is a cast brass version of the Tabitha. It is not known at present who manufactured this miniature machine, however, most examples have surfaced in the USA. Date of production is also likely to be similar to that of the Tabitha.